I started a second Christmas Photo Quilt after several people suggested that since I have two sons I'd better make another one so that eventually they would each have a keepsake. Of course, I am sure that at this time they have no thought of wanting such, but as most of us have learned, when our folks are gone their treasures have much greater significance to us. 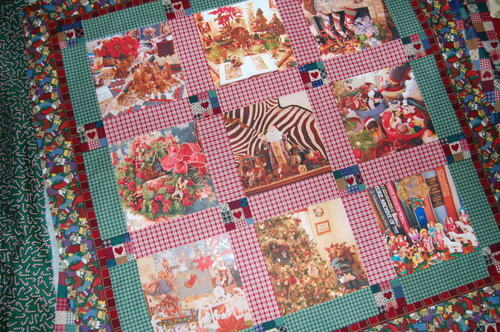 This quilt is still under construction and the photos for it are of Christmas vignettes that are traditional in our home.